The town of Midland was officially incorporated in 1900. The first woman elected to the Town Council was Elaine Miller who served from 1974-1976. Four other women have since been elected to the Midland Town Council. These include Beatrice Muir (1980-1982) and Paula James (1990-1996). 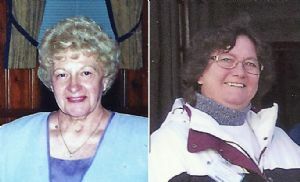 Nellie R. Tighe was elected to the Midland Town Council in 1998, and Camille Alexander in 2000. At the conclusion of their four-year term (2008-2012), Tighe was re-elected to the council for an additional four years, while Alexander chose not to run for re-election.